The Daily Kirby: An Editing Masterpiece? 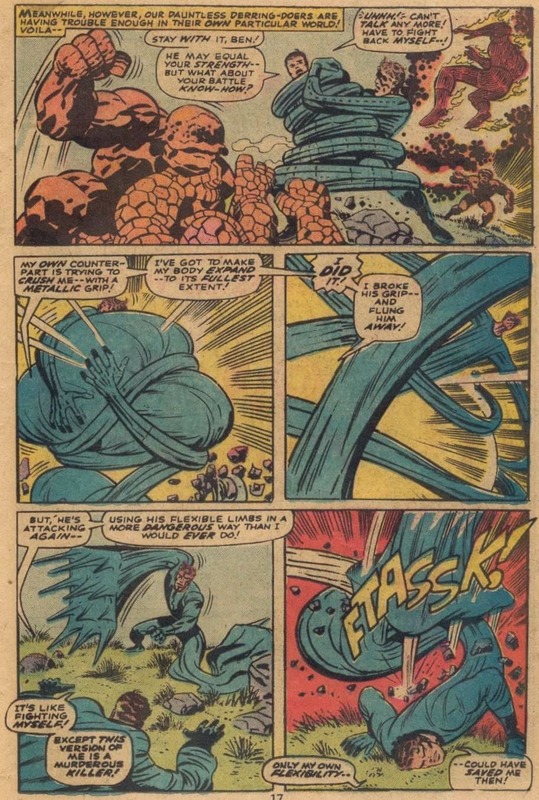 Page eleven from MARVEL'S GREATEST COMICS #57 was created by combining pages twelve and thirteen of FANTASTIC FOUR #75. Originally these five panels took up one and a third pages but a crafty cropping job made the average 1975 Fantastic Four fan blissfully unaware.